This pond is a very simple in design. It was built with the intend of not having a pond pump or pond filter. 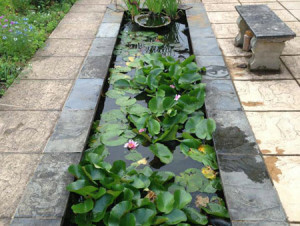 It is meant to enjoy the beauty of the aquatic plants. 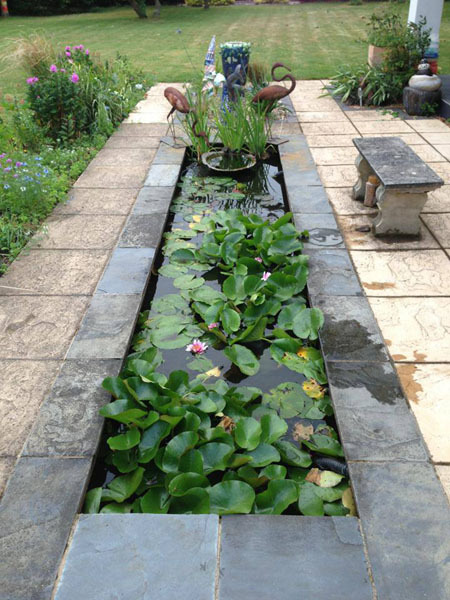 This pond is low maintenance due to the large amount of pond plants helping it to balance naturally. 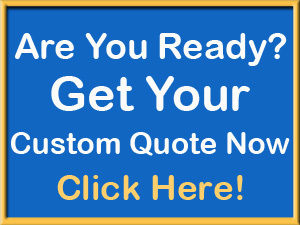 It would be up to you or your pond builder to decide whether to use a pond liner or concrete. The pond construction is finished with a black Slate which aids in the contemporary style and simple lines.